With the Pakistan Tehreek-e-Insaf (PTI) set to form the next government, names have started emerging for the federal cabinet under Prime Minister-elect Imran Khan. According to sources, a consultation is underway to form an 18-20 member federal cabinet. Dr Arif Alvi and Shafqat Mahmood are being considered for the position of Speaker National Assembly while the slot of deputy speaker can go to Zartaj Gul Wazir or to a member of a coalition partner. Shah Mehmood Qureshi is a strong contender for the foreign minister. There are no surprises for the finance minister slot as the party chief himself had confirmed days before the election that Asad Umar would be his top choice for the position. Former chief minister Pervaiz Khattak’s name is being considered for the interior ministry. Fawad Chaudhry and Shireen Mazari are being considered to become defence minister and information minister respectively. The party is considering giving Ministry of Railways to Awami Muslim League chairperson Shiekh Rashid Ahmed. 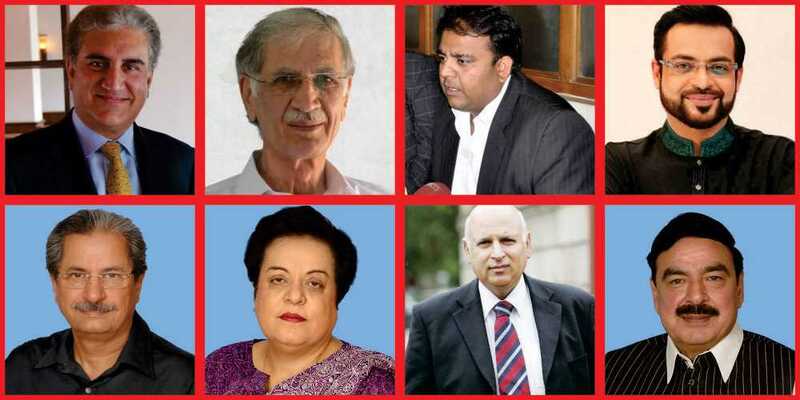 Sources have said that Makhdoom Khushro Bakhtiyar, Murad Saeed, Senator Chaudhry Sarwar, Azam Swati, Ghulam Sarwar Khan, Ramesh Kumar, Amir Liaquat Hussain and Shahriyar Afridi are also expected to be included in the federal cabinet.